Amazon.com sends us a percentage of their profits from our referrals from this website to any Amazon site, and all proceeds are used to provide Fibromyalgia and Chronic Myofascial Pain information and support. Please bookmark this page and use it to order books and other materials from Amazon.com. 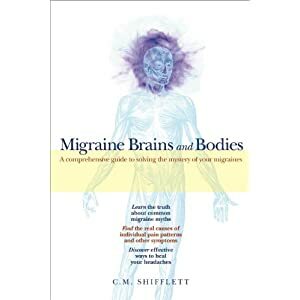 Migraine Brains and Bodies: A comprehensive guide to solving the mystery of your migraines, by C. M. Shifflett. This is the best book on migraines. It contains important and understandable ways to help you gain control over your migraines and your life. A Headache in the Pelvis: A new understanding and treatment for chronic pelvic pain syndromes, by David Wise PhD and Rodney Anderson MD. 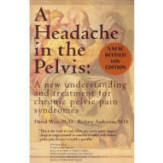 Clear instruction in treatment for pelvic floor pain. 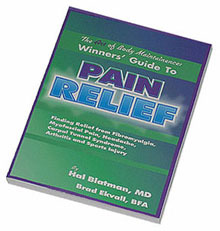 The Winner’s Guide to Pain Relief, by myofascial pain specialist Hal Blatman, MD, and Brad Ekvall, BFA, is ready to teach you how to improve your quality of life. Read more about it here. The Mold Survival Guide: For You Home and for Your Health by Jeffrey C. May and Connie L. May. Do you have a sensitivity to mold and fungus? Your home may be a perpetuating factor. Learn how to find out and what to do about it. There is an excellent chapter on mold and health. Lack of restorative sleep is a common perpetuating factor for fibromyalgia and myofascial pain. Many patients may have undiagnosed sleep apnea, and there are many different varieties. This book clearly explains the basic why, how and where of breathing and oxygen transfer, and then goes into related symptoms and options for treatment. Dr. Uppgaard is in private practice in northern Minnesota. Discusses TMJ and how to understand the pain, relieve its symptoms, prevent its recurrence, and avoid unnecessary surgery. Explores the connection between TMJ, fibromyalgia and whiplash.